Have you found an online vendor selling Ronrico Silver Label? I'm laughing because of all the poor reviews for this rum. In a mixed drink it's fine, and it's easy on the pocketbook. As a sipping rum, good grief, no. As a shooter, good grief, no. I suppose the rating depends on how folks are intending to drink it. Y'all, this is Not a sipping rum at all. It's not nearly as bad as folks are making it sound, though, if you mix it. I bought this instead of Bacardi for years on the recommendation of the store's clerk. He made a good point - little point in paying more for Bacardi when this tastes the same when put in a mixed drink. You're safe to serve this at a party as a mixer - your guests won't flog you unless they're rum aficionados, and they're Certainly not going to know it's not "top shelf" rum. 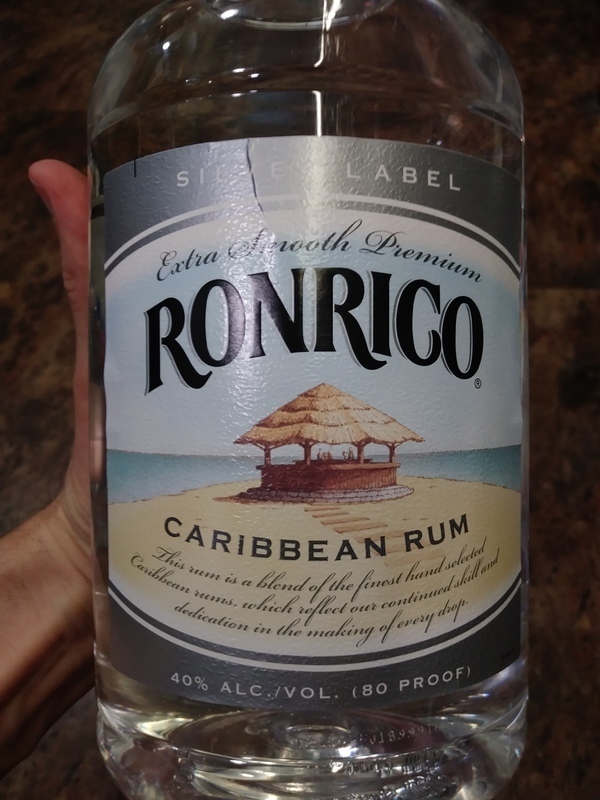 This rum was another of my favourites when I was young and only used rum as a mixer. Got a bottle of Ronrico Silver Label from a local grocery store on my last night here at Mexico City. Bottle and label design looks nice and unique. Strong alcohol and such a burn to your nose and palate. This is not a neat sipper due to such a strong burn, so mix it up with your favorite soda. Un rom bun pentru cocktail-uri. Baut sec nu cred ca se ridica la calitatile unui rom cu vechime mai mare de 10 ani. This stuff is horrible. It makes Bacardi look good which isn't saying much. It's alright for the price, but I'm paying a little more next time. Will definitely taint a mixed drink with its strange fake sugar/chemical taste. On a par with Barcardi in my humble opinion but not as good as Havana . Obviously not very special but not the worst white rum out there. Not worth the purchase. Better if using this to clean a bad cut.